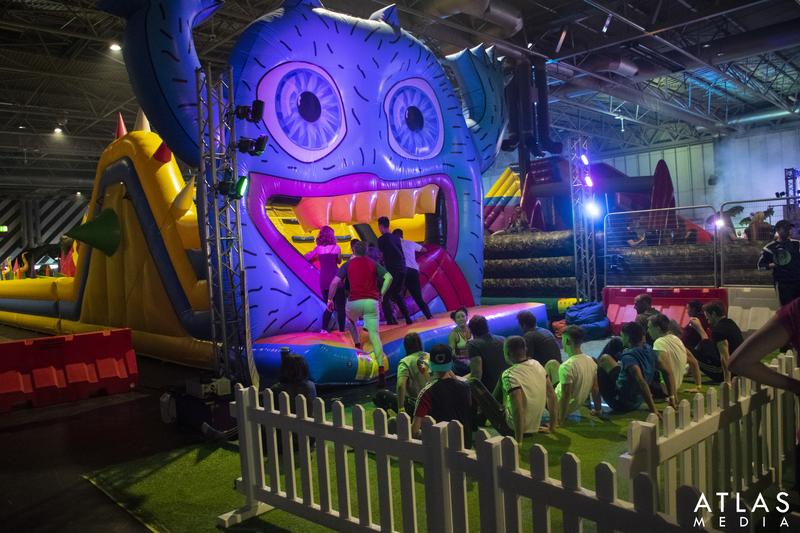 The Ultimate Inflatable Obstacle Bouncy Castle Course for adults! What an amazing idea, if only I had gone sooner because that was really, really great fun. Ladies and Gentlemen of the ATLAS Media Blog this time I bring you something a little different. Aside from the usual event coverage, game reviews and technology insights because this weekend myself and the team experienced something brilliant - The Monster. The Monster is quite frankly one of the best bouncy castles I have ever been on because it was just, something completely different from normal. 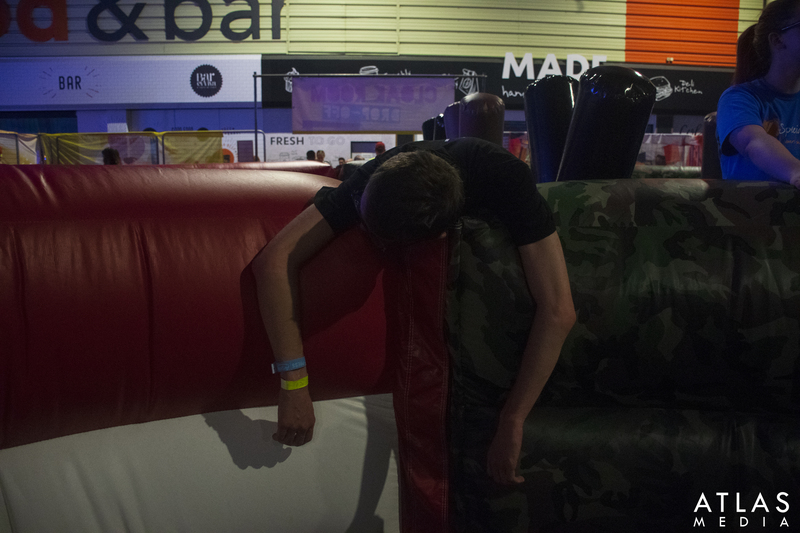 While at EGX 2018 we noticed that there was something going on in the hall next door but had absolutely no idea what it was. Being slightly nosey I popped my head through the hall entrance to see what could only be described as my childhood flashing before my eyes. 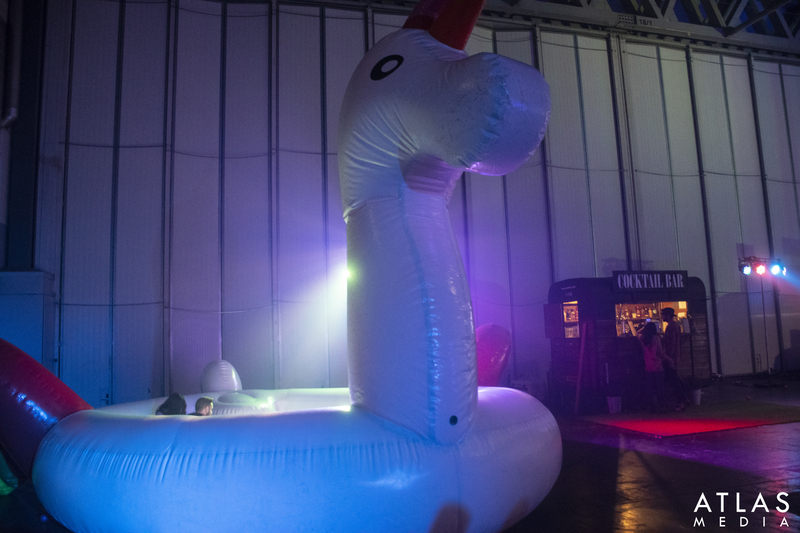 A 300m long bouncy castle, street food, a live DJ, inflatable unicorn ball pits and more. I couldn't believe it. So that was it, I was hooked. After grabbing the team, arranging the tickets and making sure we could get Dan in with his camera we were ready - and boy were we in for a treat. After making our way through the picket fence queue we were greeted by two of the most energetic instructors who had us doing all sorts to warm up before we could jump through the mouth of the monster. After playing pass the beanbag and doing a few squats it was our turn, and we were off. After jumping though and climbing the first hill, we were off. Sprinting down the first straight, jumping over spikes and logs we met our first major obstacle. Time to jump from one hump to another, and even though it wasn't that far to jump but when you're on a bouncy castle it isn't that easy a jump to make. We were met with all sorts of obstacles after that, one that I can only describe as a spring on its side we had to run through and a horse racing jump. Along the way we had members of staff constantly cheering us on, getting us pumped up and ready for whatever obstacle we faced next. By far The Monster was one of the most enjoyable things I think I have ever done, and I can't wait to see where they are touring next. Right now on their website they don't seem to have anymore stops for 2018, but that doesn't mean something might not crop up. In the meantime you can check them out on their website and twitter for any updates. We here at ATLAS Media Group Ltd just want to say a massive thank you to the Monster team for all of the amazing work and for being so welcoming to us. We hope we get the oppurtunity to do this again with you in the future. 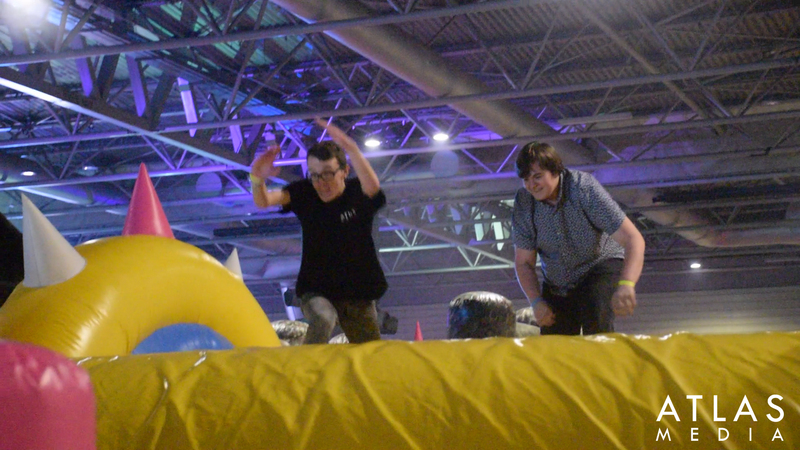 Later this week we will be releasing our video of our time on The Monster inflatable course so make sure you don't miss that by following us on Twitter for the announcement when we publish that video.